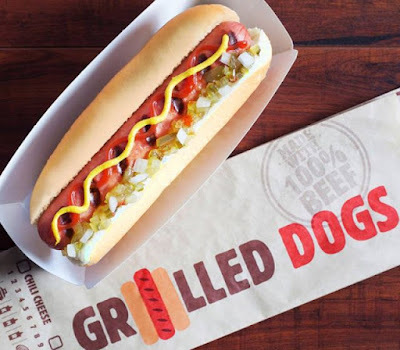 Burger King will add new Grilled Dogs to the menu starting February 23, 2016. The hot dogs will come in two varieties: Classic and Chili Cheese. The Classic comes topped with ketchup, mustard, onions, and relish and is priced at $1.99 (may vary), while the Chili Cheese, true to its name, comes topped with chili and shredded cheddar cheese. The Chili Cheese costs slightly more with a suggested price of $2.29. None of the Big Three burger chains currently offer hot dogs but they're a mainstay of the Sonic and Dairy Queen menu. Carl's Jr. has made some dalliances with the frankfurter in the past and, of course, Wienerschnitzel is centered around the hot dog. Grilled Dogs are meant to be a permanent part of the Burger King menu. 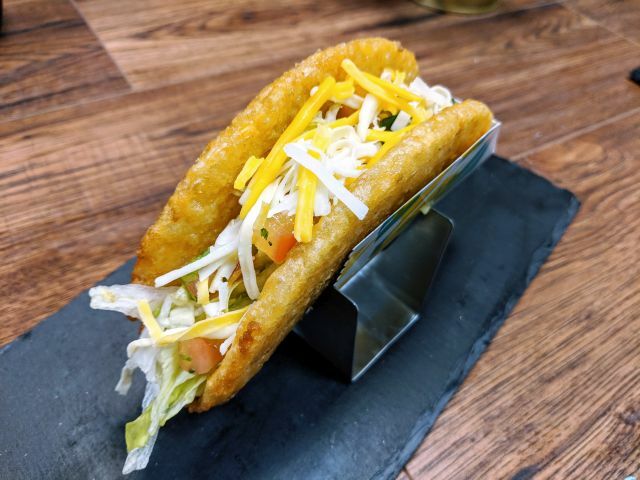 Given the chain's recent spate of flavors for their Chicken Fries and Extra Long Cheeseburger, it should only be a matter of time before we see new flavors for the new platform.